KINGS Safety Shoes – Look good, stay safe. Who says engineers can’t look good when they are on site? 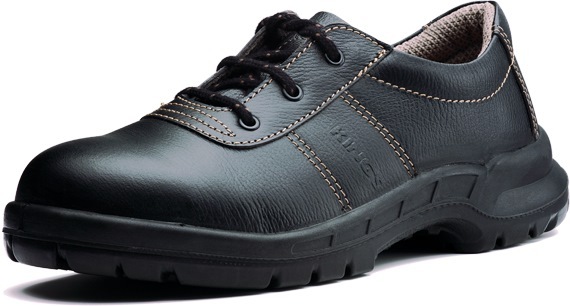 With Kings safety shoes, engineers can now both look good and stay safe. Many people would agree that Kings Safety Shoes, a subsidiary of Honeywell, is one of the many brands in the world that provides the best safety footwear. 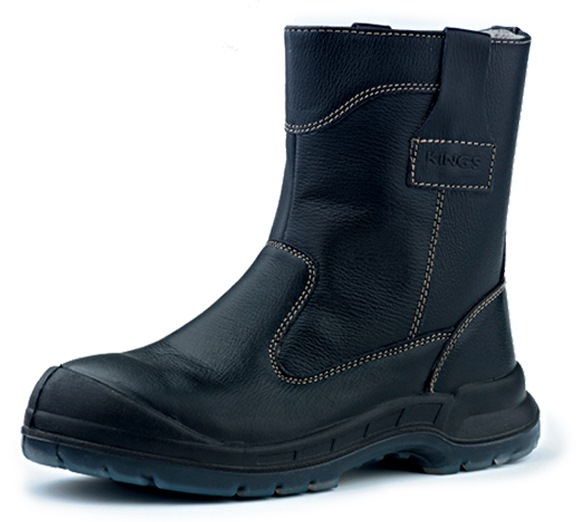 Not just that, Kings Safety Shoes also ensures that wearers of their shoes enjoy both comfort and value for money. Their shoes are not just affordable; they are durable too. They provide safety footwear with quality standards comfort-to-feet and value-to-employer safety and productivity. It is no wonder why the KING’s brand is dubbed “The Logical Choice” by many. Also, the shoes they sell have built-in steel toe cap protection and are installed with cushioned insole for extra comfort. This option comes only in black and is made of a light-weight low-density sole. Made of polyurethane (PU), the sole is resistant to acids, alkalis, and oils that may be present in the workplace. The printed leather upper has a breathable fabric lining that’s complemented by the antistatic insole board. If you are looking for an extra-comfortable pair of shoes, try this. It’s made with an extra-wide five-toe toe cap so your toes can have enough breathing space while protecting your toes from injury. Measured with precision, the toecap is made of a 200-joule steel part that can resist compression and impact. It is ideal to wear to dangerous environments such as on factory floors. The mid-sole insert is 1100 Newton steel which can’t be penetrated by any sharp piercing object. The insole is a full-length EVA foam lined with fabric. It not only provides shock-absorption capabilities but it is also anti-static and anti-bacterial. You will feel very comfortable wearing these shoes for long hours. King’s seems to be in love with black leather shoes. The sole of this shoe is made of double-density polyurethane with a softer midsole for cushioning from shock impact. You get a sole that’s not just lightweight but also slip resistant. It can withstand the effects of oils, acids, and alkalis anytime. This is especially useful if you work in a factory, a kitchen or a chemical plant. The printed leather upper is laced with a non-woven fabric lining. You will love the antistatic insole board just as much as the scuff cap for toe bumper protection. That’s in addition to the toecap, which gives your toes maximum comfort. You won’t have to fear your toes being crushed by a heavy-weight. It becomes better with the pierce-resistant mid-sole insert. This pair of shoes has a black printed leather upper. Lined with non-woven fabric that helps with ventilation, the KWD806 makes for a good shoe to wear to work. The dual-density polyurethane sole is complemented with a softer midsole that’s designed to absorb shock and keep you safe. If you work on a factory floor or in the construction industry, you will appreciate the scuff cap for toe bumper protection. The shoes have an extra-wide toecap that provides your toes with maximum comfort. There is no reason why anyone should worry about having their shoe sole pierced by a sharp object. 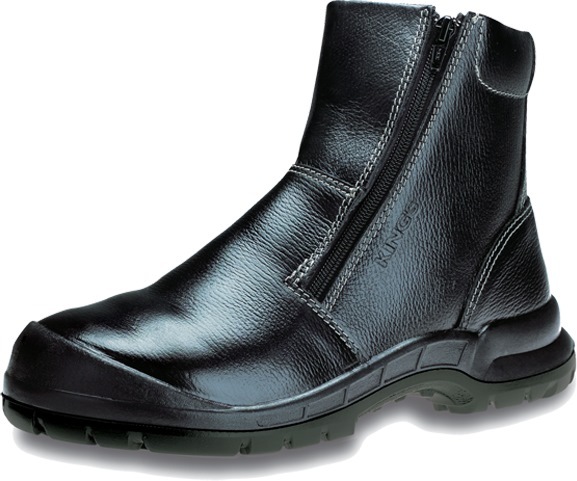 With KINGs safety shoes, you can feel at ease that you feet will always be protected. The mid-sole steel insert is what ensures you remain safe. Additionally, you won’t feel unnecessary shocks because of the fabric-lined PU foam insole. With these shoes, you will have that bouncy feeling for a long time to come. Regardless of whether it’s from Kings or other safety shoes brands, you should always protect yourself with a proper pair of safety shoes because you only have one pair of feet. If you do not have a proper pair of safety shoes, consider buying a pair of safety shoes from Eezee. Eezee offers the everyday low prices and the most savings on products across every industrial hardware category. Buy from eezee today and enjoy great savings for you and your company.